The Starlight™ Uni Tube Steel Tape Armoured Cable is suitable for installation in the most demanding, harsh environments. The cable has excellent tensile strength and crush resistance characteristics and is also rodent proof. The ST adaptor set the standard for optical fibre interconnects. With its simple to use bayonet locking mechanism, it preventing accidental disconnection. With the precision housing this adaptor gives the very best performance. Generally there are two types of alignment sleeve within an adaptor; phosphor bronze for multimode or zirconia (ceramic) for singlemode. Singlemode Fibre Pigtails with LC connectors. 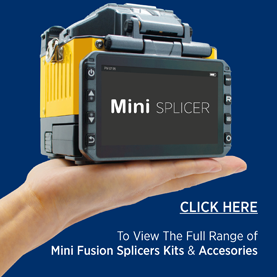 The LC connectors and adaptors set the standard for small optical fibre interconnects. With its simple to use latched lever locking mechanism preventing accidental disconnection and precision housing for optimum performance. The LC was also the first Small Form Factor (SFF) connector set available and offers fibre density and performance unheard of before now.